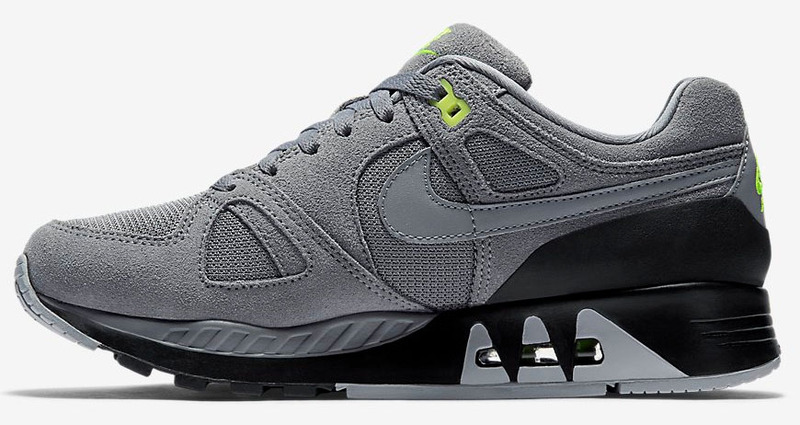 A classic look adopted by the runner. As the "Neon" Nike Air Max 95 celebrates its 20th Anniversary with a slew of releases, its famous launch color scheme is crossing over to other classic models. 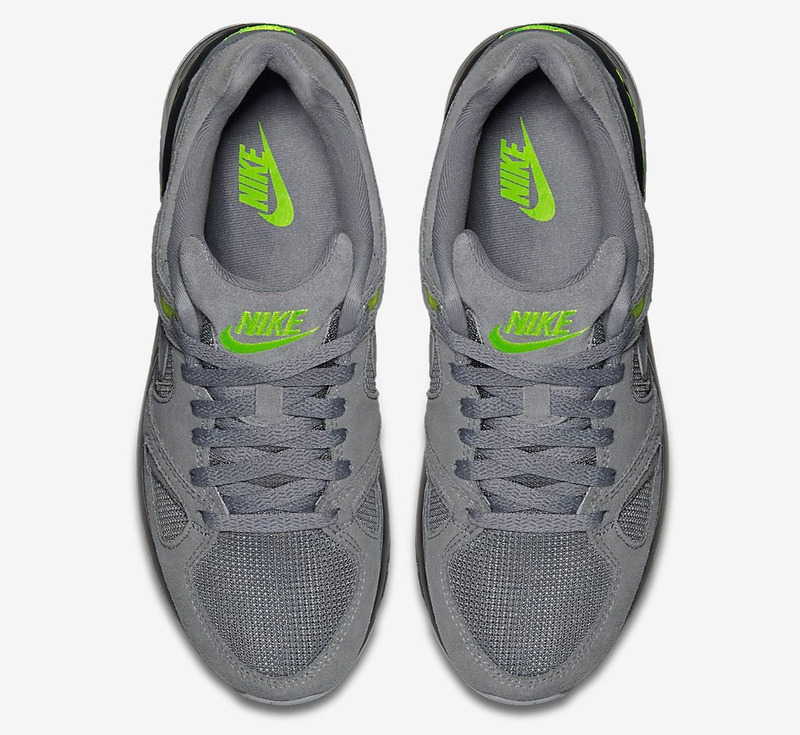 The latest silhouette to get the treatment is the Air Stab, dressed in grey suede and mesh with neon accent hits. 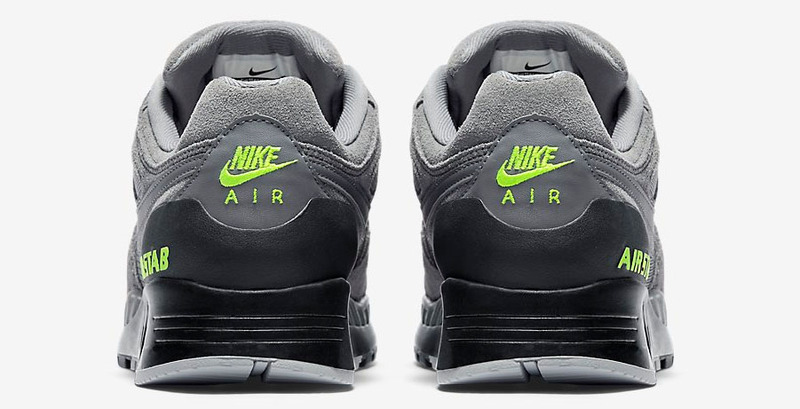 Black and grey link up the replicate the 95's dirt-shielding midsole. 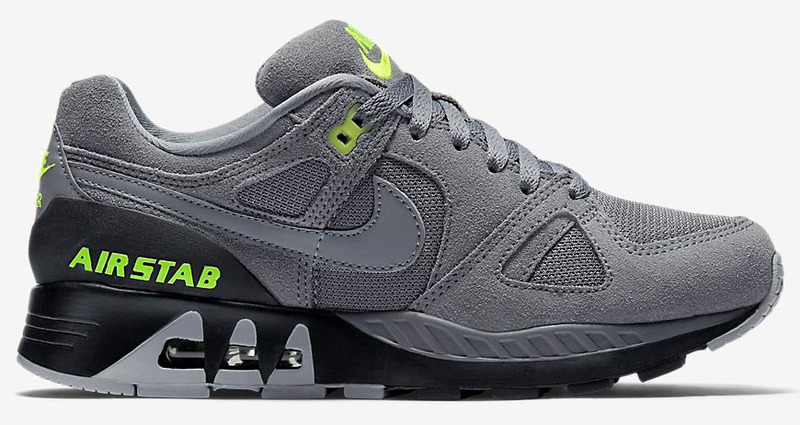 Overseas retailers are already carrying the "Neon" Stab an a stateside launch is expected soon.